It can be overwhelming to receive so much information about Yoga teachings and lifestyle advice and trying to integrate them all in our everyday life; plus, the fast rhythm in which our society is functioning is not very helpful either. However, it is crucial to understand that to fully benefit from the yogic practices and teachings, we cannot rush through a practice. 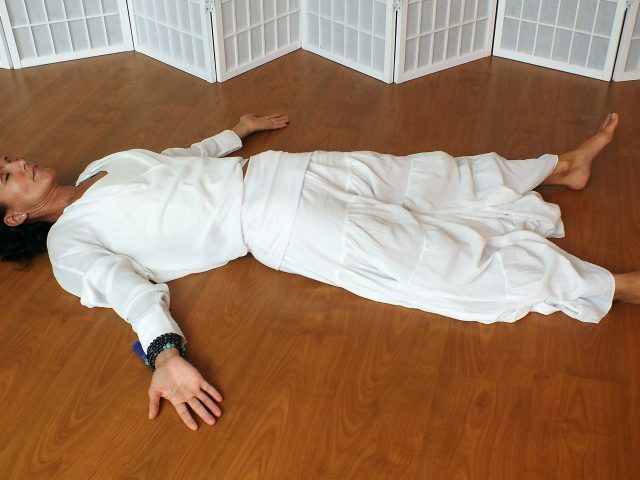 We cannot skip steps in a pranayama (breathing technique). All the teachings and asanas (yoga postures) deserve our full attention for a dharmic (sacred) experience. My approach in yoga draws upon the energies of five fundamental elements and the universal laws of alignment (Dharma). Considering the above, we can explore more of our authentic selves, allowing a holistic and mindful approach to practicing yoga. We can find our way into the poses, much as we seek to find our way in life. We can feel authentic and connected. My intention, as an instructor, is to establish a balance and connection between the Five Bodies and Elements from our life to allow for a holistic approach throughout the practice. ETHER represents space, life force, and intention that connect us all. This element represents truth and divine light in the spiritual realm. When we clarify an intention at the beginning of our class, or our day, we dedicate our practice to a higher purpose. We make peace, we allow time for contemplation and we experience the interconnectedness of the five bodies. When we breathe with intention and clear direction, we become more mindful and alert throughout our practice and throughout the day. AIR represents the mind and our psychological aspects, including our core beliefs and our living aspirations. The element of Air guides the breath, providing conscious direction. Through this element, we explore the depth and rhythm of the breath, and the connection between the mind’s thoughts and intentional breathing. Breath and Pranayama facilitate the flow and harmony within and all around us, helping to cleanse the mind and body of repressed emotions and toxins. FIRE represents the energetic and forceful movement of things in the world. It manifests as rhythm, action and motivation throughout our practice. Fire builds self-confidence, allowing us to move through life with grace and determination. With Fire, we feel energy and the pulse of life within us. We honor our biorhythm; we tune in to the natural rhythm of our heart. We manage the intensity of our movements. We take leadership in our actions through our yoga practice and into our daily life. Water represents our emotions and our interpersonal relationships. WATER represents all fluid, flowing and formless things in the world. As a metaphor for how we deal with emotions, we acknowledge the constant flow and movement of our emotions and the fluidity of our relationships. We release attachments and channel our emotions creatively through yoga practice as well as in our relationships. Drinking a lot of water and having a healthy diet is also a way to purify us and release attachments. EARTH represents the physical, material and tangible aspects our life. When we practice yoga, we embody our prayers and intention. We create a strong foundation with discipline and a healthy routine. 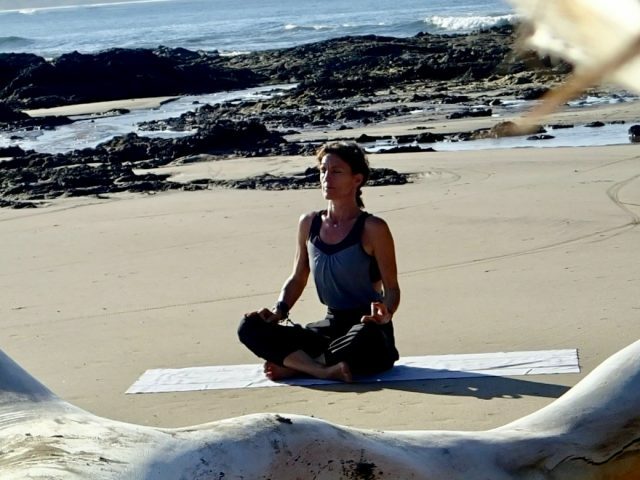 We connect deeply through the Mula Bandha to achieve a deeper sense of grounding. The deeper the roots the higher we can fly. To find this support, the base and structure is key for a harmonious and nurturing practice that honors the Earth. The element of Earth represents the physical alignment and our support system. Strengthening our immune system and being respectful to our environment is also a way to take this element into consideration. We bring awareness to any obstacles surrounding our intentions through a dharmic yoga practice. These may be our core beliefs, fears, or other attachments that hold us back. By observing our breath and rhythm, we allow our bodies to organically move from a place of acceptance and consciousness. We honor where we are in the present. Never forcing, we give space to release resistance and tension. By moving in this way, the proper pranayama is reached with grace and integrity – from our authentic inner selves. Through continuous and mindful practice, we explore and balance the physical body. Relieving stress, while rekindling the connection between thoughts, heart, emotions, body and spirit. This is a balancing and alignment of many realms: the physical, energetic, relational, psychological, and spiritual. Stand tall, feet grounded to the earth, with the outside of the feet aligned and feel deeply connected to the heart of the earth. Stabilize your hips and engage the pelvic floor slightly. Take a moment to feel the flow in your belly. When it feels well supported by your base, lift up the rib cage and stand tall. Be mindful of the rhythm of your breath. Visualize your neck lifting and a golden string at the crown of your head. Observe the connection high above you. Bring that intention into your mind as a mantra. Take a moment to observe and deepen your breath, creating space for alignment with your intention. Gently, enter a clearer state of mind and bring your attention with intention to your heart center. Feel the warmth as you open to the experience of your intention. When you tune into that space, you can experience an emotional relief and feel the flow of energy slowly opening throughout your body. Take a moment to settle, to embody this sensation. Ground yourself and bring the experience fully into the present. Stand tall in mountain posture –Tadasana.